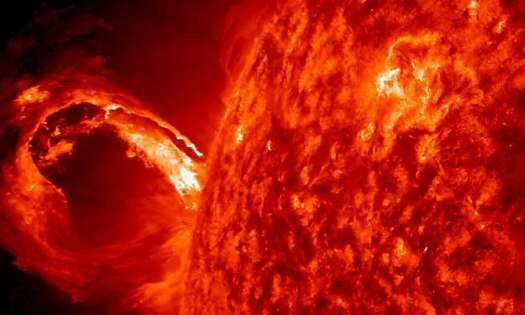 Scientists charged with predicting the sun’s activity for the next 11-year solar cycle say that it’s likely to be weak, much like the current one. The current solar cycle, Cycle 24, is declining and predicted to reach solar minimum—the period when the sun is least active—late in 2019 or 2020. Solar Cycle 24 reached its maximum—the period when the sun is most active—in April 2014 with a peak average of 82 sunspots. The sun’s Northern Hemisphere led the sunspot cycle, peaking over two years ahead of the Southern Hemisphere sunspot peak.